Zoran Zaev has emphasised the “sincere friendship and co-operation” between his country and Bulgaria, in a move to clear away the controversy over his earlier statement that Ilinden–Preobrazhenie Uprising was a Macedonian insurrection. Zaev’s statement caused the opposition Bulgarian Socialist Party to challenge Prime Minister Boyko Borissov over his “silence” on the matter, after which Borissov issued a rebuke to his counterpart in Skopje, saying that the issue was one for historians, but also cautioned that such statements should be weighed carefully and could have repercussions down the line. Unconfirmed reports in the Bulgarian-language media on August 10 said that Borissov had telephoned Zaev that morning to tell him that his statement was being exploited for domestic political purposes in Bulgaria. 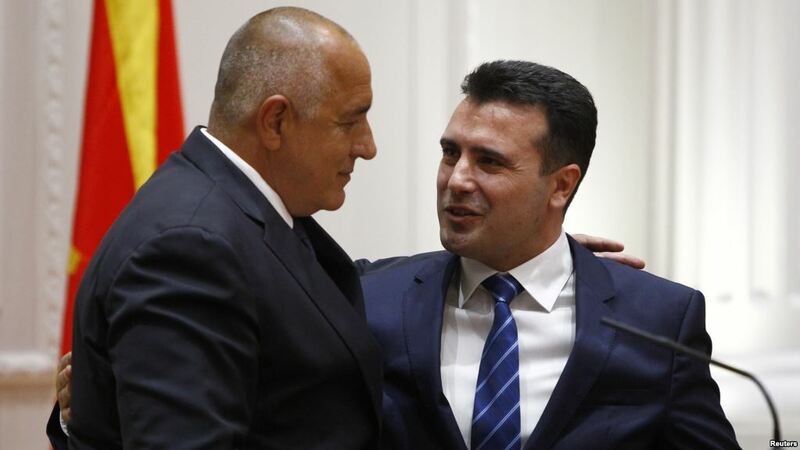 On August 10, reportedly after the phone call, Zaev posted on Facebook that the friendship and co-operation between his country and Bulgaria were sincere. Zaev, who with Borissov signed a bilateral good-neighbourliness treaty between their countries in August 2017 – subsequently ratified by the countries’ parliaments – pointed to a series of joint commemorations by him and Borissov of historical events and figures. Zaev said that a sincere friendship had been built between the two countries, after several decades of having been lost, “and that was a loss for both sides”. “We found our friend and brother again, and will not allow a reversal, this is a duty to our children,” he said. Why do Greece’s bond rates fall despite delays?